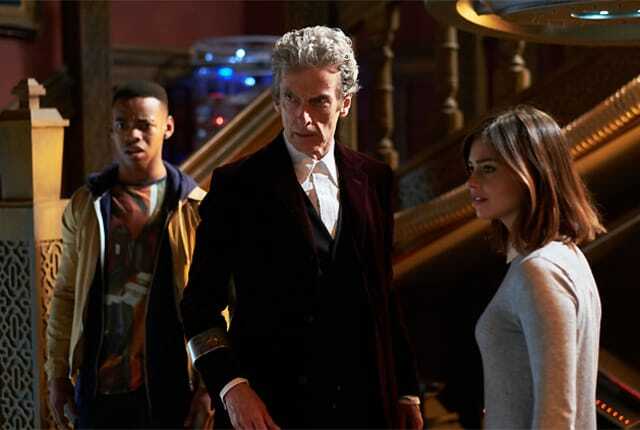 Watch Doctor Who Season 9 Episode 10 online via TV Fanatic with over 7 options to watch the Doctor Who S9E10 full episode. Affiliates with free and paid streaming include Amazon, iTunes, Vudu, YouTube Purchase, Google Play, Amazon Prime, and Verizon On Demand. The Doctor and Clara run into Ashildr in a magical alien world hidden in London on Doctor Who Season 9 Episode 10. Which one of our heroes won't be getting out of there alive? Is this the end for Clara? Clara: I've always wanted a tattoo. You know, something small. Discreet. Rigsy: Clara, cut it out. Clara: Why aren't you listening? I'm under the Mayor's personal protection and it's absolute, apparently. Look she controls the raven, so I will never have to face it. Permalink: You actually expect me to give you my death sentence? The Doctor: That's your name. I keep telling you that. Ashildr/Me: Do you? Infinite lifespan, finite memory. It makes for an awkward social life. Permalink: That's your name. I keep telling you that.